Boston used to dominate the video game industry. Can it rebound? 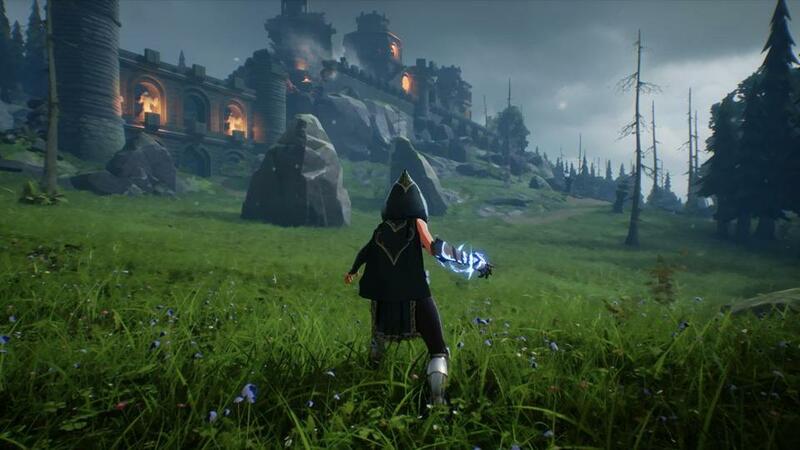 Boston-based Proletariat is testing a new game called Spellbreak with players; it’s a team-based combat game, but instead of using heavy weaponry, players cast magic spells on each other. This week, the Boston Convention & Exhibition Center will host one of the country’s largest expos for video game players, PAX East. One person to start with is Mike Dornbrook, who began his career in the games industry just after graduating from MIT in the early 1980s. If you played “Zork” or “Hitchhiker’s Guide to the Galaxy” on your Apple computer in that century, or jammed with “Guitar Hero” or “Rock Band” in this one, Dornbrook was involved. “Thirty-five years ago, the Boston area was second only to the [San Francisco] Bay Area in concentration of computer game companies,” Dornbrook says. Companies like Infocom, Spinnaker Software, and Parker Bros. were all among the top 10 game publishers. “Now, this area is pretty far down the list,” he says, trailing not only the Bay Area, but Seattle, Austin, Los Angeles, Montreal, Vancouver, and Toronto. One issue, Dornbrook says, is our chilly climate. But another one is Canadian government subsidies that support the industry there, offering tax incentives that effectively cut by half the cost of employing video game developers. And these days, it is “very difficult for game companies to raise money here,” Dornbrook says. “Lots of investors were burned” by putting money into companies that may have had one hit but couldn’t follow it up. Also, watching seven years of lawsuits that erupted after the bankruptcy of Rhode Island-based 38 Studios — the games company founded by former Red Sox pitcher Curt Schilling — didn’t make investors more eager to funnel money into the sector. Yet things aren’t entirely bleak. One goal is to double the size of the Vivox team in Boston, he says. But hiring here is tough, “just because we’re competing against companies in adtech, fintech, biotech, and robotics” — all industry sectors hungry for talent. One newer company, also tied to the way gamers talk to one another to plan strategies or fling insults, is Cambridge-based Modulate. It is building “voice skins,” a kind of vocal avatar that would let a 10-year-old girl sound like a gruff ogre, ancient wizard, or a well-known fortysomething quarterback. The company recently raised $2 million in funding, with an assist from Dornbrook, who serves on the board. Metro VR Studios hopes to soon release a virtual reality game called “Orion 13,” in which you play a combat robot that becomes sentient. Boston-based Proletariat is testing a new game called “Spellbreak” with players; it’s a team-based combat game, but instead of using heavy weaponry, players cast magic spells on each other. The studio that everyone is watching is Ghost Story Games, run by Ken Levine. It’s a smaller “reincarnation” of what had previously been called Irrational Games, which created the “BioShock” series of games. Exactly what it’s working on is “the $64,000 question,” says Tim Loew, executive director of the Massachusetts Digital Games Institute, a state-funded center that promotes the industry. Leonie Manshanden of Ghost Story says the company won’t be exhibiting at this week’s PAX East event, and has “no news to share at this time” about games it’s working on, or when they’ll be released. While PAX East focuses mostly on games that are distributed by established publishers, one way to get a glimpse of what’s happening in the indie arena is to go to BostonFIG (taking place in September — FIG stands for Festival of Indie Games) or Playcrafting’s occasional game showcases in Boston and Cambridge. Those offer a chance to play games that are still in development, as well as others that are finished but may not have received much fanfare — yet. Any of them could be the next runaway hit. Dornbrook, the industry veteran, remembers the nascent video game scene in Cambridge in the 1980s, when he would hang out with colleagues at the old Aku Aku Polynesian restaurant near Alewife. “I’d love to see this area regain some of its former dominance in this industry,” he says. Me too. Who doesn’t love a come-from-behind win?